Duracell Turbo Max Alkaline Batteries have a High Density Core. This gives the battery a dense and compact structure that enables ut to us to fit more energy into a regular size battery, which gives Duracell Turbo Max a longer operating time than other Duracell batteries. Unlike zinc carbon batteries, Duracell batteries contain no air space, which means that there is more room inside for active materials. They are packed effectively, creating the dense and compact structure of the High Density Core. In effect, it gives significantly more power and operating time in comparison to zinc carbon batteries. Duracell batteries with the High Density Core are heavier than ordinary ones. You can easily feel their weight in your hand. You may also conduct an experimant to prove the superior built quality. Take a glass jar and fill it with water. Throw both an ordinary and a Duracell Turbo Max battery in the jar. Duracell Turbo Max is heavy, so it sinks. The other battery floats as it has air space inside. What does this mean? More weight eaquals more active material, and more active material equals more power. Duracell’s Hi-Density Core technology provides long-lasting alkaline power for both high and low drain devices, so you can be sure that their performance will be reliable. 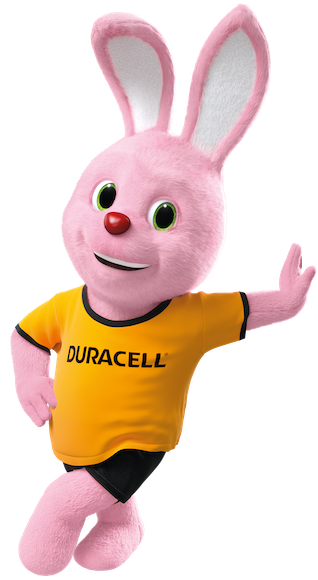 Look in your store for Duracell Turbo Max Alkaline batteries and enjoy using your devices without unnecessary interruptions. These multi-purpose batteries are ideal for reliably powering everyday devices. Duracell Turbo Max Alkaline batteries give you the freedom to enjoy the use of your appliances by giving you a product you can rely on.